So this short story/novella was my first taste of reading Katie MacAlister and I think I am going to have to try something else. The concept of the book caught my eye because of the almost comedic feel to the idea. The problem is there is nothing funny about it. It tries to be funny but it just fails. It doesn’t have a good flow to it and what is an attempt at banter falls short of witty. Even with this little hiccup, the idea is gold. I am not going to write off Katie MacAlister for this book. I will give her work a shot again. 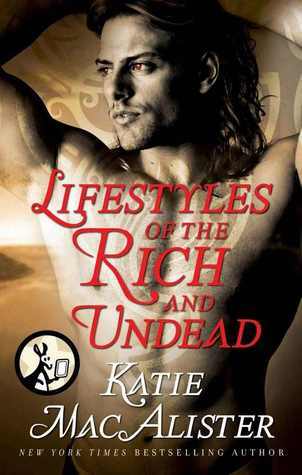 For the unique idea alone, I am going to give Lifestyles of the Rich and Undead 2 stars. At only $0.99 cents for the ebook, I would say give it a read but dont expect to be blown away. Did you notice the model’s eyes are brown (which looks creepy when the rest of his is in black and white) while the character has, and I quote, “smoldering grey eyes”? lmao!! I DID notice that!!! lmao!! Great minds and all that….